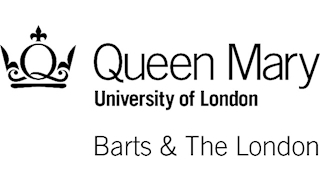 Queen Mary University of London is one of the UK's leading research-focused higher education institutions. With around 21,187 students, 4,000 staff and an annual turnover of £300m, we are one of the biggest University of London collages.We teach and research across a wide range of subjects in the humanities, social sciences, law, medicine and dentistry, and science and engineering. At Barts and The London School of Medicine and Dentistry (a faculty of Queen Mary), we offer access to world-leading expertise and a fantastic location in the heart of London – either at our Charterhouse Square or West Smithfield campuses, both close to the Barbican Centre, or at our campus in Whitechapel. We offer a large portfolio of postgraduate onsite and distance learning programmes which cover clinical medicine and dentistry and non-clinical medical science programmes, taught by academics who are leaders in their respective fields. According to the Research Excellence Framework (REF 2014) Barts and The London is placed within the top seven UK institutions in all three Units of Assessment – Clinical Medicine; Public Health, Health Services and Primary Care; and Allied Health Professions, Dentistry, Nursing and Pharmacy. Queen Mary offers outstanding students a stimulating, supportive and high-quality learning experience, with teaching inspired by our world-leading research. We have also invested more than £250m in new facilities over the last fifteen years to offer our students an exceptional learning environment.